Great Britain defencemen Stevie Lee says no-one is getting carried away despite an impressive start to the World Championship Division 1 Group A in Budapest. 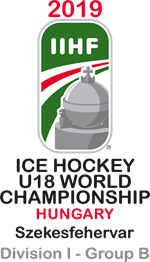 GB, who had a pre-game skate this morning, face Italy this evening after two wins from three matches in the six-team IIHF tournament. Pete Russell’s side started with a 3-1 victory over Slovenia, followed by a 6-1 defeat by Kazakhstan and then a come-from-behind 5-3 win against Poland. “We just need to keep going and play the way we have been playing all tournament,” said the Nottingham Panthers blueliner. “We have quietly gone about our business this week and for sure we have shocked a few people. 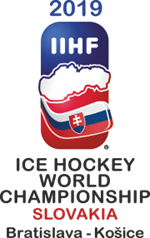 “It is great to be back at this level and facing some of the top nations in the ice hockey world. “The opening-day win over Slovenia gave us such a boost and we have carried the momentum on throughout the week. Lee will make his 41st appearance for GB this evening as they head-to-head with the Italians in the Papp László Budapest Sportaréna. “Italy look a very good side and their quality showed when they really turned aside Kazakhstan earlier in the tournament,” added Lee. “But we just need to get our heads down and keep doing what we have been doing.